If you were lucky enough to catch Swedish singer The Tallest Man On Earth when he was in the country late last year you’ll know just what an amazing talent he is. That’s all the info we’ve got for you now but you know we’ll bring you more as it comes to hand. Evan Hughes: Congratulations on the new album. This is your third from The Maple Trail project. How are you feeling about the end result? Aidan Roberts: Thank you very much. I’m really proud of this album, I feel like the music has had a chance to mature a lot since Radio Twilight Lost. This record actually sounds a lot more like The Maple Trail in my head, and I enjoy listening to it, which is a good sign. EH: You recorded the album in three places – New Zealand, The Blue Mountains and Stanmore in Sydney – yet it feels really complete. How did each location impact on the album? AR: Well, I didn’t actually do any recording in New Zealand, just writing. In fact, the first time I went to NZ I wrote some lyrics which ended up on the record, way back in 2005. But I started recording the album when I was living in the city – and the clamour of living under the flight path had its effect on my headspace and the actual sound of the recordings (quite literally, you can hear airplanes on a couple of tracks – listen at the end of “Captain Dies” for example). We did some recordings early on with Chris Rollans in his city studio, which had a really beautiful woody sound, very at odds with the craziness of the CBD. So it’s interesting to think that with all the recordings I subsequently did at home since I moved back to the Blue Mountains, I was working to maintain that organic city sound. But no airplanes, just Black Cockatoos and swaying trees. EH: So many contemporary artists draw inspiration from Nick Drake yet I can hear his influence more heavily on your album than on anything else I’ve heard recently. How big an influence is he on your music? Where else do you draw inspiration from? AR: It’s interesting, the Nick Drake thing. I’ve never felt I was channeling anyone’s influence too directly; though I think my voice sounds a lot like Nick’s when I’m singing gently – and I explored that a lot more on this record, I’m never really pushing out the songs, I’m just sort of singing them to myself almost. I listen to a lot of English and Gaelic music, from Drake and Denny and Renbourne to The Chieftains, Kathleen MacInnes and Fionn Regan, and yes I have always loved all of Nick Drake’s records. Sometimes I am still left breathless by the beauty and sophistication of his songs, so I take the comparison as a massive compliment. EH: The musicianship on the album is really interesting. Did you work with mainly local Sydney artists? Did you arrange all the parts yourself or did the other musicians have a lot of input? AR: I have had many wonderful people playing with me in The Maple Trail over the years, and you can hear them and their unique influences in the recordings – the sound of us all playing as a band has a thick organic sound that you can really hear on The Dinosaur Hunters and This Dead Moon etc. All the acoustic and intimate sounds – the wineglasses, the little percussion instruments and the ghostly bits are all me alone in my house. But the sound of John’s pedalsteel, and the addition of Caitlin Park and Brian Campeau’s voices, all expand the flavor of the music and it feels like it’s always growing. Dave, Danny, John, and everyone else… they’re all in there. EH: A lot of people will know your work with Belles Will Ring, which is really quite different from The Maple Trail. How important is it to have two different creative outlets? AR: Belles Will Ring is of course a more expansive rock group and we’ve been making music together for a long time. The Maple Trail is an extension of what I do with Belles, and I get inspired by being able to further explore my sound on my own – I really love that we can cross-pollinate projects, to lend each other different areas of expertise to make the music beautiful, whether Belles or Maple Trail or whatever it is we’re working on. EH: Liam from Belles Will Ring mixed the album. Was the dynamic in the studio recording this album different than when you’re in the “same band”? AR: Liam and I have been doing stuff for 20 years now, since we were kids, so there’s a nice synergy between what I do alone and what I do with Liam and Belles. It made sense for Liam to mix these songs, because he really relates to where it all comes from, and we finally got a chance as grown-ups with this and the latest Belles Will Ring record, to really sit down and shape it into something powerful. He did such a beautiful job on this mix, I’m really proud of him actually. EH: Are you touring Cable Mount Warning? What’s next for The Maple Trail? AR: We’re doing two very special launch shows in April and May in Melbourne and Sydney, then we will do some more touring throughout the year. The current band is so fantastic, I am really ready to get on the road. I’m also very excited about the forthcoming vinyl release of Cable Mount Warning, so I’ll be planning some extra special little shows to support that, to give it as much life on the road as possible. 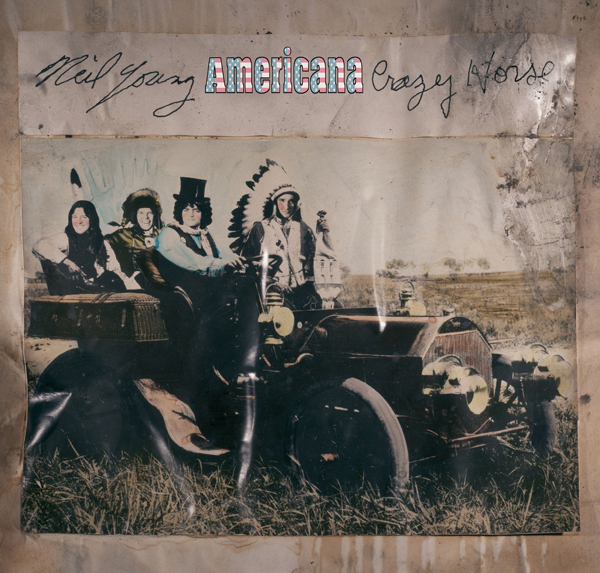 Rolling Stone is reporting that Neil Young is planning his first album with the full Crazy Horse lineup (Billy Talbot, Ralph Molina, and Frank “Poncho” Sampedro) since 1996’s Broken Arrow and that it’s going to be full of American folk standards. Titled Americana the album will feature songs such as “Oh Susannah”, “Clementine”, “She’ll Be Comin ’Round The Mountain” and “This Land Is Your Land”. To start, an admission: I’m a terrible festival attendee. My handful of must-sees quickly gives way to a fickle drifting, distracted eyes and ears rarely attentive for a whole set. I’m also, as you’ll quickly discover, musically illiterate yet fascinated and enthralled by a language I don’t understand. Lyrically, I feel adept to make comment; instrumentally I flounder and use inappropriate and often incorrect words. You’ve been warned: what follows is a review of the beautiful Blue Mountains Folk, Roots and Blues Music Festival by a musical illiterate with a deep love and appreciation for what she hears. Thanks to Timber and Steel’s Editor in Chief Evan Hughes plans to marry one of my oldest (very youthful) friends, the lovely Sarah Tuz, and my convenient home in the misty, mystical Blue Mountains, I’m writing my first review for Timber and Steel. Like many fellow festival attendees, I spent the preceding week checking the weather forecast, anticipating a repeat of last year’s perpetual rain and shin-deep mud bath (not atypical in the Bluies). Yet I also knew, as you can read in Evan’s review of last year’s festival, that the residents of the Blue Mountains and those attending from afar, are resilient and undeterred by a bit of soggy trudging between venues, and well-equipped with assorted gumboots and waterproof parkas. The seventeenth Blue Mountains Musical Festival was, as the program described, the usual motley affair of folk, roots, blues, latin, world, jazz, bluegrass, Indie, reggae, blessed with artists from the quirky, theatrical The Beez, to the determined and socially conscious Blue King Brown. Young local musicians such as the passionate young Claude Hay played just metres away from the iconic Judy Collins, tackling themes from the intimate to the comical to the political and everything in between. Fred Smith is a songwriter of 15 years. He’s also an Australian diplomat who has been posted to far corners of the earth – from Bouganville to Uruzgan. Skilfully, he combines these two personas as a master storyteller, conjuring hope, despair and laughter in his audience. I was suitably curious to see him on both Friday and Saturday evening. Fred began his collaboration with the beautiful, cheeky, passionate Liz Frencham at the National Folk Festival in 2002. Liz on vocals and cello brought balance and intimacy to Smith’s performance on Friday night, enthralling the audience with her vivacious enjoyment of her instrument, balancing Fred’s dry humour with a distinctly feminine presence onstage. The evening mixed the political – such as “Blue Guitar”, reflecting on his time in the Solomon Islands, to the everyday and personal, such as “In My Room”. Throughout Saturday evenings Dust of Uruzgan (the title of his new album) performance, Smith used a combination of story, song and multi-media to tell of his time posted in the Uruzgan province of Afghanistan. What left the audience hopeful, despite his often tragic stories of distrust and fear, was Smith’s wry yet playful sense of humour, and his overt belief that in spite of the everyday horrors he witnessed, peace is still possible. Liz Frencham and the rest of the band served as instruments by which Smith added life to his stories. Smith gave voice to the men and women of the armed forces in the province, describing the monotony of constant threat, the loss and death and ceaseless dust. It was not all bleak- from within the reality of war; Smith described uplifting friendships, a spot of ‘Schwafelen’ (brush up on your Dutch to translate this one) and plenty of laughter. A memorable and poignant experience. Abigail Washburn’s sweet drawl and croaky laugh is just as compatible with Bluegrass as with traditional Chinese folk songs (hand gestures included). Vivacious, Nashville-based Washburn, complimented by co-writer and singing partner Kai Welch, blessed their Blue Mountains audience with some ramblin’ afternoon tunes, from the delicate “Dreams of Nectar” to the traditional Chinese folk song whose title (ironically for the weekend) translates ‘The Sun Has Come Out and we are so Happy’. Some soul-quietening, smile-delivering entertainment to bring in the Saturday evening. Aptly described by our MC as ‘fizzy and effervescent pop’, My Friend the Chocolate Cake played us a range of tunes from their 21 years at the forefront of Australian Music. Pianist and vocalist David Bridie started us on a melancholy note with “Strange Crumbs From the Suburban Fringe”, quickly swinging between the carnival and the cinematic in a set filled with songs you recognise but can’t quite place – probably from their presence on a plethora of Australian film and TV soundtracks. Having never seen them before, I’m unsure if this is typical, but apart Bridie steering the show, and quirky Hope Csutoris on Violin, the rest of the band played along unobtrusively as if willing the audience to ignore the band and draw upon and use the music to conjure up their own images and memories. Bridies’ lovely shy young daughter joined the band on vocals for a rollin’ rendition of “25 Stations”, as My Friend the Chocolate Cake used suburban symbols integral to the Australian identity, music like the voice of a familiar and comfortable old friend. Bringing in Saturday evening, living up to my wandering tendencies our 7pm timeslot was filled with three very different artists I was very curious to see. Firstly, a storytelling session with the diverse and bewitching Harry Manx accompanied by the extraordinarily talented and energetic virtuoso Hammond Organ musician Clayton Dooley. I sat, mesmerised as Manx minimised talk between songs, telling tale after tale, fusing eastern musical traditions with the Blues. Disappointingly, our time was cut short by the desire not to miss out on the legendary Judy Collins. We skilfully edged into the jam-packed Big Top tent for a glimpse of Judy Collins, looking radiant, relaxed and all decked out in glitter and grin. At 71, Judy’s career spans more that half a century, and judging by the composition of the audience, attracts fans spanning many generations and backgrounds. The air was thick with nostalgia, and the voices of hundreds of festival attendees reminiscing in unison. The lyrics of Bob Dylans’ “Mr Tamborine Man” could no doubt be heard halfway up Katoomba St, Judy leading the crowd. Unfortunately, due my partner’s sore foot (see below paragraph), we hobbled across to the RSL stage where we discovered a whole generation perhaps untouched by Judy Collins. Claude Hay had a collection of Blue Mountains youth dancing furiously to his Blue and Roots tunes. Feeling strangely old (especially compared to the rest of our time at the festival), we sat and watched the ‘young people’ shake and groove and chant along to defiant lyrics, while we polished our dentures and moaned about our arthritis. A beautiful conclusion to my second Blue Mountains Music Festival. Eric Bibb, accompanied by Swedish guitarist Staffan Astner, bestowed upon the audience an exceptional set of traditional and contemporary folk-blues tunes. It was Erics’ fourth Blue Mountains Festival, and second time visiting the Mountains in the space of a year- he played at Blackheath Community Centre in April 2011. Everything about Eric contrasted with the pervasive fog outside the tent, from his bright orange shirt to his infectious and radiant smile. Staffan, dressed in black, hat obscuring his eyes and occasionally bemused smile, was Eric’s quiet yet brilliant shadow. From “Stagger Lee”, “Floodwater”, “Troubadour”, “Tell my Baby” and “Going Down the Road Feeling Bad”, Eric played a mixture of covers and originals which created a warm and contented audience, pleased to be sharing the moment and the music with hundreds of others in the Big Top, rather than outside in Katoomba’s best mist and drizzle. In just a couple of weeks Justin Townes Earl lands in Australia for a series of shows including an appearance at Bluefest. Even sooner the new Justin Townes Earl album Nothing’s Gonna Change The Way You Feel About Me Now is released, hitting shelves on Friday the 23rd March. The good people over at theMusic.com.au have an exclusive full stream of Nothing’s Gonna Change The Way You Feel About Me Now which you can listen to here. The perfect way to start is with the Mumford and Sons side project The Wedding Band and their celebration of a positive proposal. This song has been in our heads since Gareth announced he was getting married. Even though he’s getting married in March. Go figure. “The Wedding Song” was written by the Stons as a wedding gift to a friend. Just gorgeous. Not really the message we want to be sending to the lucky couple but not every wedding is a happy state of affairs. And we love this song. Tracy Chapman has been an influence on so many singer-songwriters over the years and we wouldn’t be surprised if this has turned up at more than a few weddings. With a classic country music title this track from the latest Punch Brothers album Who’s Feeling Young Now? is a gem. This track is simply beautiful and a wonderful way to round out the playlist. Coinciding with the release of the video is a grassroots campaign to get Pete Seeger back into the Top 100 chart which would make him the oldest person ever to do so. Info on the campaign, named Forever Pete, can be found on their website foreverpete.com or on Twitter and Facebook with proceeds from the song going to Amnesty International. The heart and soul of the Australian folk festival scene is undoubtedly bassist Liz Frencham. A solo artist in her own right Frencham is also well known for her work with Jigzag, Jimmy The Fish and Frencham Smith. She is currently making her way from festival to festival with long time collaborator Fred Smith and is about to hit The National Folk Festival over Easter. We grabbed a couple of minutes of her time to talk about how she fits it all in, how her approach to festivals has changed over the years and what’s next after her current tour. Evan Hughes: You’ve just come off some shows at the Port Fairy Folk Festival. How was that? Liz Frencham: It wasn’t the best festival experience I’ve had just because of the circumstances. I tried to fit two festivals into one weekend. I did the Burke and Wills Folk Festival on the Friday with Fred [Smith] and then we travelled to Port Fairy on Saturday morning, got there and rehearsed with the band, did our gig and then by that stage I was pretty exhausted. Then the next day we had four gigs. LF: And they were all a little too close together. We also had a projector and screen that wen’t AWOL and that caused Fred some consternation. It was just one of those festivals that felt a little more like work just because of the circumstances. EH: The one thing I’ve noticed with you at festivals is you’re everywhere all the time. I’m surprised all this running around is not something you’re used to by now. Although running from one festival to the other is a bit extreme. LF: Yeah [laughs]. It’s a little bit different if you’re running to jam with someone and also there’s a difference from when you’re 23 to when you’re 33. And then when you’re pushing 40 and running around with a double bass it means a little bit more organisation. Also if it’s a gig that you’re featuring at, particularly the ones with Fred where people connect with the Uruzgan material in a certain kind of way, even the CD selling area I take over while he talks to people. That kind of thing’s exhausting as well – organising that as well as being aware of what gig’s on the horizon. It was always exhausting but it’s a little bit more business these days. It’s one of those things that’s good and bad when you’ve played on the scene for longer – I used to have no voice by the time I’d get to Sunday of a festival because I would have stayed up late drinking and singing and talking and now I don’t because I know my voice is really low, it’s set in my chest, and if I try to talk over a lot of noise I’ll lose it really quickly. It’s only just because I want to make sure I can perform really well right throughout the whole festival. I feel like I’m a much better performer now but what I used to have was raw enthusiasm to get me through. It’s an interesting tradeoff but one I don’t mind having. I feel like I’ve had hundreds of amazing late night jams over those festivals. Things just change when you’ve been doing it for longer. EH: You mentioned Fred Smith. You’ve played with him on his album Dust Of Uruzgan and toured with him as your schedule allows. The songs from the album really connect with people, especially if they have a connection to Afghanistan. How’re you finding playing those songs live? LF: It’s intense to play songs of war. Besides singing a couple of songs that I do I’m pretty much playing the role of band member really, I’m playing the bass trying to do that as well as possible. Every song asks something of you and that’s what you’re thinking of when you’re playing it, what does this song need. I know all the intros back to front, I know all the stories, I know all the lyrics so I guess I’m no longer being moved by them anymore. I’ve probably done the show maybe 40 times now or more. In order for everyone in the audience to keep hearing it fresh it’s my responsibility to take each song at a time and give it my best. When you’ve played the songs that many times you do learn what really works on each song. EH: When I interviewed Fred Smith last year he was telling me all about the songs you sing on the album, that they’re sung from the point of view of Afghan women. That must have been difficult to put yourself in that mindset. LF: Strangely not. One of them’s from the point of view of a woman in exile and anyone who’s got friends and family can imagine what it must feel like to leave them behind. And there’s so much personality that he puts into those songs so you get a sense of the character which makes it easier. There’s definitely a wry sense of humour in the woman from “Trembling Sky”, there’s a couple of lyrics that give that away: “As I recall we were still kissing, while our friends were going missing”. There’s a little bit of bravado there. He gives you enough in the song to just go into it and feel it. The other one, “A Thousand Splendid Suns”, is more of a straight story so it doesn’t really benefit from trying to push any more into it, any more emotion. The melody is also so beautiful – just to sing the melody and tell the story is all that needs. EH: It’s been a while since that album came out – are you still touring just under Fred Smith or are you going out there as Frencham Smith again? LF: The line blurs quite a bit mainly because of the show. The National is booked under Frencham Smith with the expectation as well as doing our material we’d probably do a dedicated Uruzgan show, being that’s the most recent thing Fred has to offer – and also a really lovely thing to offer any festival. I think it’s easier to blur those lines because I’m quite involved in the Uruzgan stuff as well, in singing a couple of songs, having recorded bass on the album and toured the album. It’s easy a week before the festival to work out which is going to be the Uruzgan and which is going to be the Frencham Smith set. EH: Are you guys recording any new material together or anything like that? LF: Probably not for a while. I think Fred has something in the works before that, without telling any tales. Also this year I’m dedicating to recording the second volume of my duets, You and Me Vol. 2. That’s going to keep me pretty busy from winter onwards and then I want to give that album a good spin, a good tour next year. I’d say probably next year you won’t see as much of Frencham Smith just because I think both of us will be doing stuff that doesn’t involve the other for a little while. EH: Can you reveal any details about who you’re playing with on the duets album? LF: I can tell you that I’ve recorded the first duet with Andrew Winton. We’re doing a Sting cover which is really fun. We just did that when he was recently here touring. But I don’t like to say who else because obviously you can have all the best intentions and the artist can say “yeah, let’s do it” but then I’d hate to say somebody’s name and then it not happen and people be disappointed. Put it this way: there’s some international artists who are touring at the moment who are trying to fit a recording into their schedule. Definitely some names you’ll know. EH: Andrew Winton’s a big enough name Timber and Steel’s eyes for us to already get excited. LF: I can definitely say he’s on that because it’s recorded. EH: I think one of the first times I ever saw you live was playing bass with Andrew Winton at The National a number of years ago. EH: It might have even been his first National. LF: We’ve been mates for a while and we’re pretty much the same age so whenever we cross paths at festivals we often find ourselves at the same kind of life stage, swapping stories about where we think our careers are going and that kind of thing which is kind of fun. EH: You’re at so many festivals every year – do you have a favourite? EH: It’s such a hard question. EH: I think that’s all the questions I had for you today. Good luck with everything you’ve got coming up. It’s been a pleasure talking to you. LF: No worries, I’ll see you later!